It was my first time eating Duck Leg Wrap. Never heard of such a thing? Me neither, until Penang food blogger Ken (together with blogger Ann) brought me to this stall located at the junction between Kimberley Street and Cintra Street. 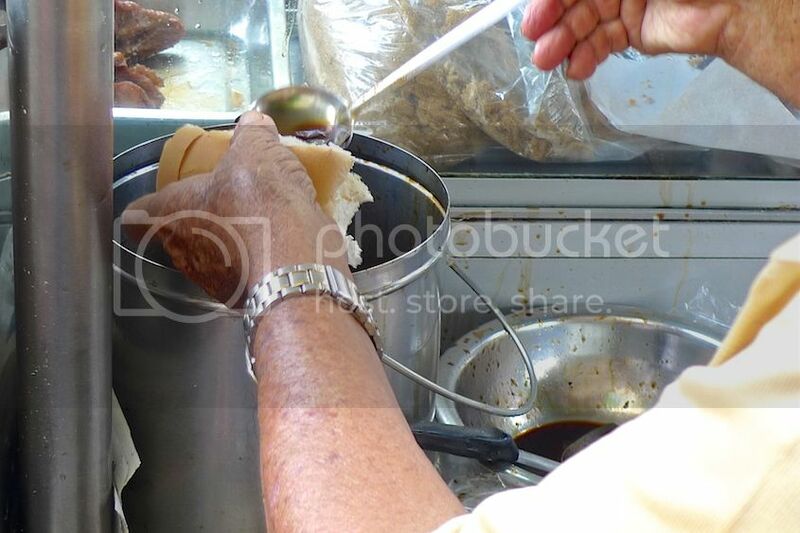 Besides Duck Leg Wrap, the stall also sells Bak Kwa Bun, Pork Floss and Braised Chicken Wings too. In case you do not know what a Bak Kwa is, it's a salty-sweet dried meat usually made from pork, somewhat similar to jerky. 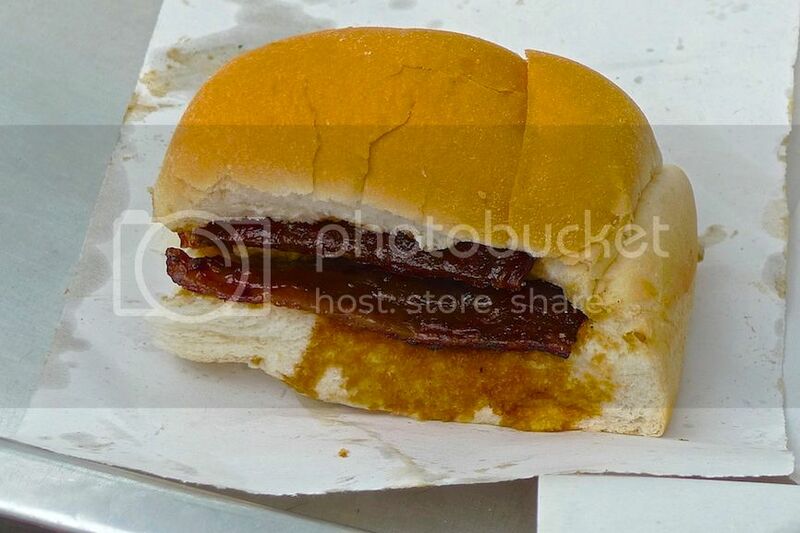 I did not find anything special with the Bak Kwa but what made this Bak Kwa Bun so yummy was probably the sauce that was added onto the bread. My delicious and warm Bak Kwa Bun! 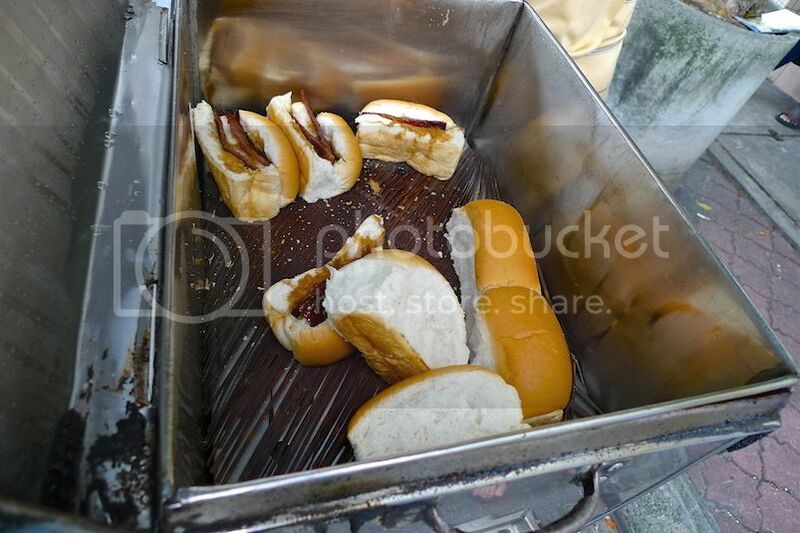 Oh my, I'm so craving for this right now! 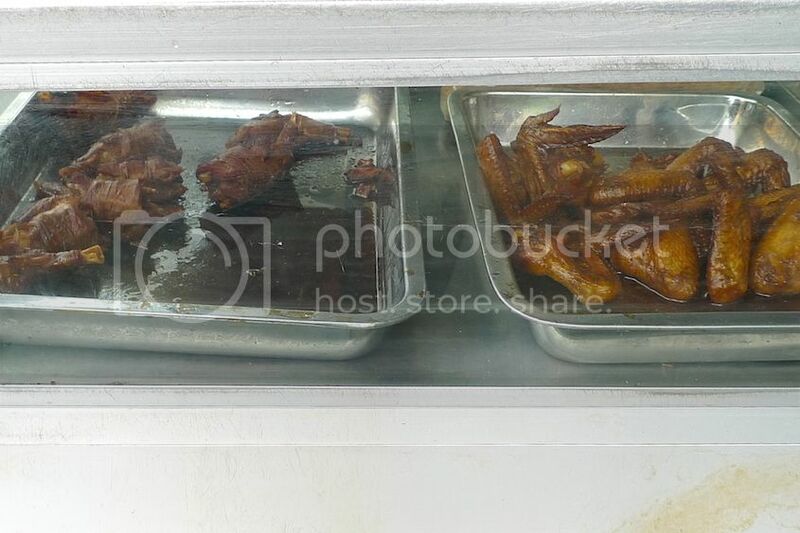 On the right is a tray of Braised Chicken Wings and on the left is a tray of Duck Leg Wraps. We did not try the chicken wings as they were pretty common. What we were after was the Duck Leg Wrap. 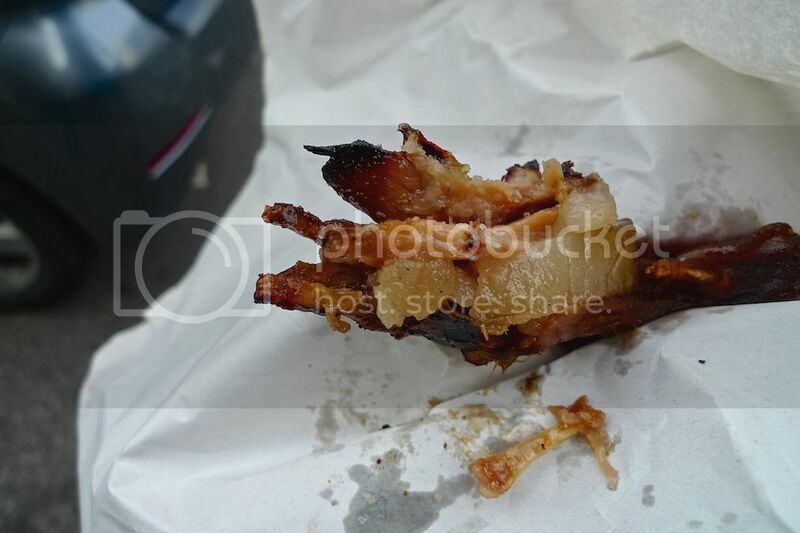 So what exactly is this exotic food called Duck Leg Wrap? 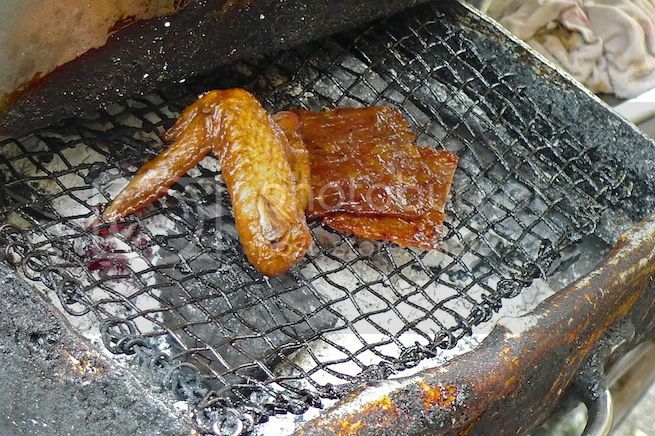 Well, it's actually made up of duck leg, pork, pork liver and wrapped with duck intestines. The wrap is then braised and roasted. 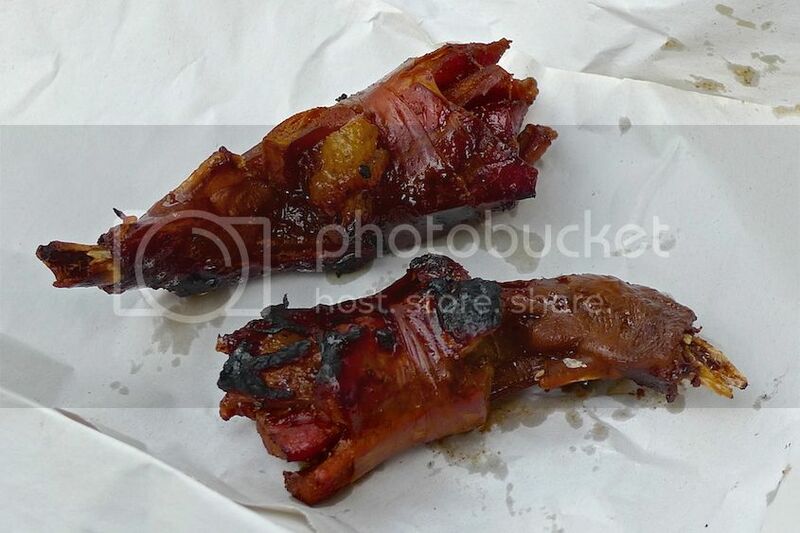 However, this stall's Duck Leg Wrap was slightly different as it used only duck leg and pork. No liver and duck intestines were used. Biting into the Duck Leg Wrap, I could only say one thing - it was awesomely delicious! The taste was slightly sweet with an aroma that was hard to resist! Can you see the fatty pork meat? Yummy! I give it two thumbs up! 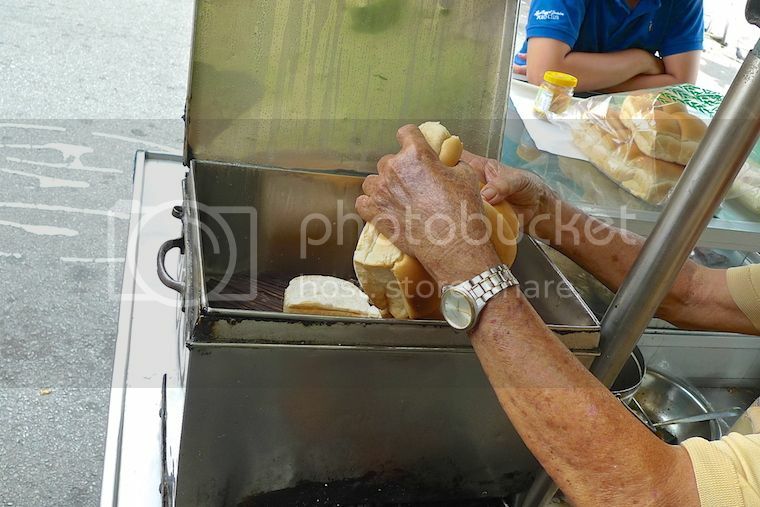 Unfortunately, the uncle who have been operating this stall for more than 40 years had decided to quit the business and sold off his recipes and his stall to a new owner. So yes, even if I were to go back to Penang to eat this Duck Leg Wrap, it may not be the same anymore. Which is a real pity. 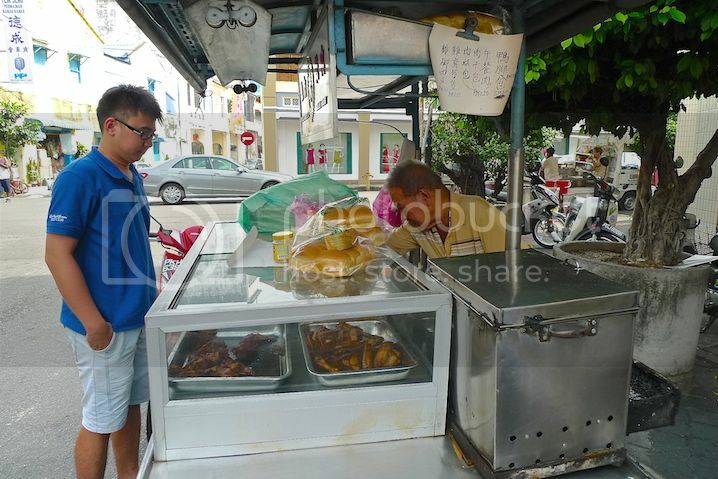 Hopefully, the new owner manages to maintain the quality and taste of this unique Penang food.